Get your Trading questions answered! Everyone who starts to learn stock trading has questions! Learning about stock trading systems and how to build your own system is a slow and frustrating task if you don't have the right trading coach or mentor to help you. Sure you can read a bunch of Trading Books and learn it yourself - after all, that is the way I did it. But that was my biggest mistake of all. If only I had taken the time to find someone who was willing to help guide me, my journey would have been MUCH FASTER! I am a Trading Coach and one of the most gratifying experiences I get to have is helping people learn stock trading by giving them exactly what they need and answering Trading Questions and helping them see a clear path to profitable and consistent trading. I love all aspects of my trading and I really enjoy sharing what I have learned. Below I have shared some of the questions that I have addressed for my coaching clients who are on their path to make money consistently from the stock market. Please read our disclaimer and terms of service at the bottom of the page for my terms and conditions and please note that Trading System Life PTE PTD does not provide financial advice. How should you learn stock trading? One of the biggest problems with the finance industry is there are so many people around who are pushing their own approach or agenda. Brokers typically want to give you their own trade calls which are usually short term trades in stocks their analysts cover; trading educators want to sell you an expensive course to teach you their secret trading system and trade advisory services want you to think it is so complex that you should just pay them to tell you what trades to take. I don't believe any of these are the solution. Making money in the stock market with a profitable stock trading system is just not that hard if you have the right guidance and support to help you get there. But the one key that everyone seems to miss is that you need to find an approach which is right for YOU. If you buy a trading system from someone else, the chances of you being comfortable using it in real time, with real money on the line are very small. When the system has a drawdown, you will inevitably quit because you lose faith in the system. The way to learn stock trading and become a profitable, consistent trader is to design an approach which suits your personality, your trading goals and allows you to live your ideal lifestyle. There is no point learning about day trading if you have a day job you have to focus on or if you don't like staring at the computer screen for 8 hours a day. If you want freedom, the ability to travel anywhere and work for just 30 minutes a day then you need to design a trading system that will deliver that! This is exactly what I did and I can show you how to do the same thing! This is the process I will take you through on my unique new Private Email Coaching Program. 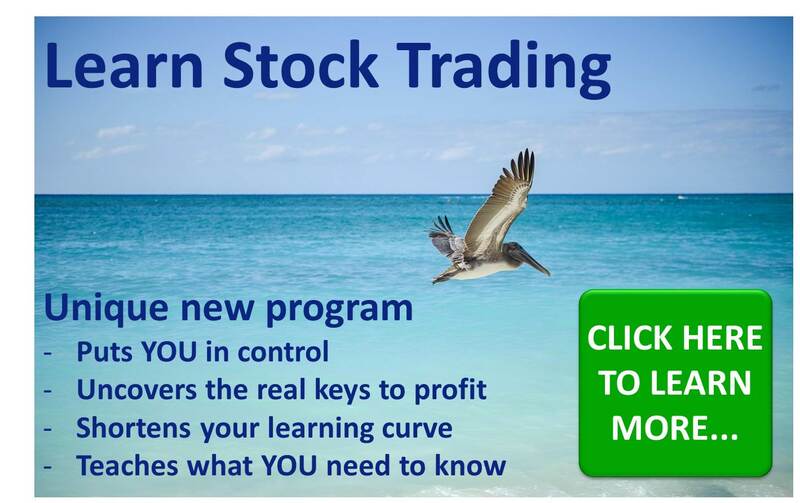 You will learn how to become a profitable stock trader in a way that fits you...and the great thing about that is you can make money AND have the life you really want without the stress!